Bennessy's Blog: The Goddamn Batman! 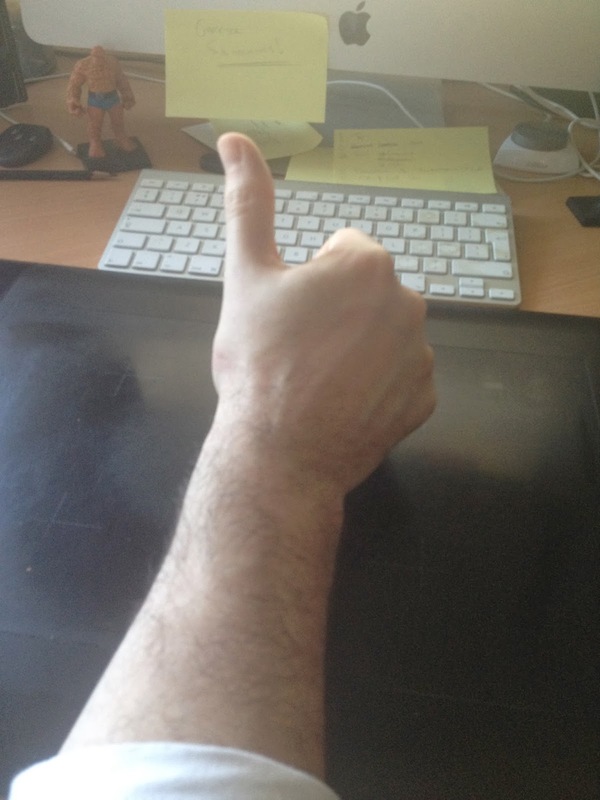 Another Commission piece this week as the hand is only starting to heal up properly but look, NO SPLINT NOW :) HUZZAH!! Was asked by family to knock out a Christmas pressie of Batman Arkham origins. Knocked this guy out, its A0! 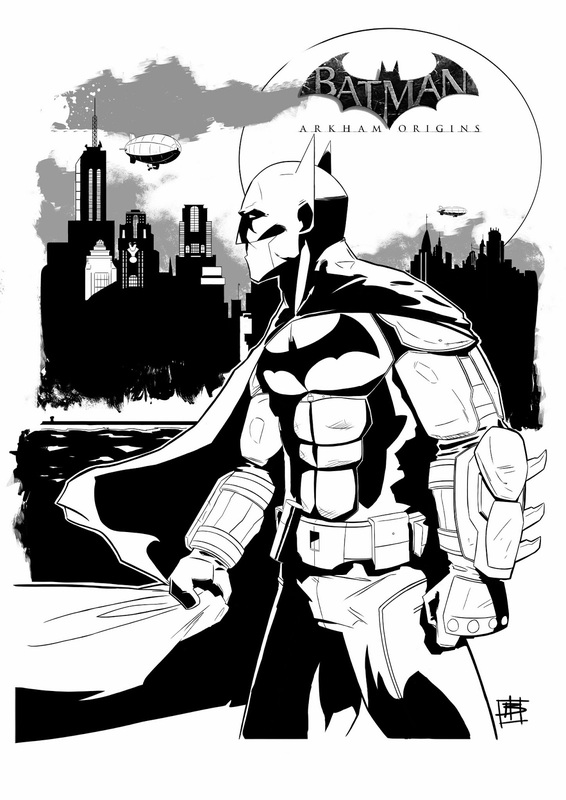 Wouldn't mind having another stab at the Batman Origins costume, there's a lot going on in it. Next week I'll actually draw something for the Friday. 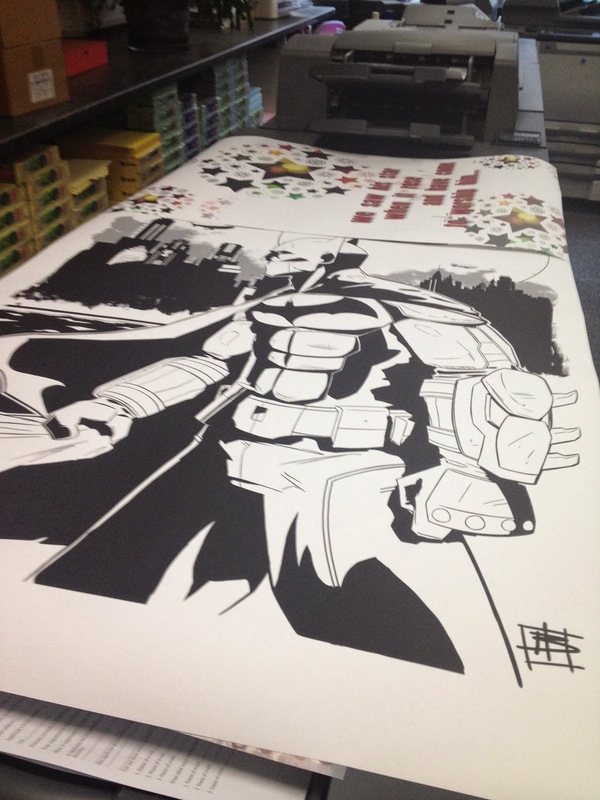 Here's a pic from the printers just to give you an idea of the scale.